Hay muchas formas de hacer Software. Nosotros estamos obsesionados encontrando a la mejor. Pueden intentar ver el pdf aquí. Espero que esto le sirva a alguien de algo…. Tal y como el título lo indica, a continuación voy a republicar una página que encontré en donde aparece una gran lista de herramientas para modelado de UML que originalmente publicó una persona de nombre Michael W. Godfrey. install on their home machines. some of the tools below have Unix ports, while others are “pure Java”. may vary depending on your own requirements! versions of their software to try out, but that’s it. What tools do *I* use? Gaphor, a GPL modelling tool written in Python using GTK+ (and so will run on *nix, MacOS, and Windows with Python and GTK+ installed). Currently [June 2007], it supports class, component, action/activity, and use case diagrams, with sequence and collaboration diagrams coming “soon”. The tool emphasizes drawing UML diagrams, rather than application generation. development tools to create an unique development platform”. framework that can be customized to a final application. of big systems, but it isn’t meant to. pure Java and will run on Windows / MacOS X and most Unix variants. 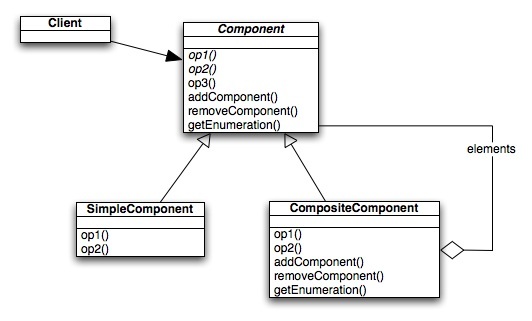 the latest UML standard, if that matters to you. A nice piece of work. UWaterloo person, you can download our current licenced version here. since version Rose98i, so your mileage may vary (maybe it’s improved!). documents, not just single diagrams). Microsoft in 1999, but you knew that too, right? tools, including (ahem) a link back to this page. No endorsements implied for these tools; I haven’t looked at ’em seriously. browser (I used Galeon under Linux). Steve Hanov, currently (March 2007) a graduate student in my department, has created a web-based sequence diagram generator. It takes simple textual input and creates a sequence diagram you can snarf. The service is free, but the project is not open source. available. They also appear interested in university licences. version and a time-limited fully featured version for download. supports code generation and reverse engineering of C++ and Java. your own subcomponenets. It supports UML plus several other notations. versions, plus a free read-only viewer. PC-based tool for creating and sharing UML software designs. Java source code libraries into UML diagrams; demo downloadable. Describe, a commercial tool formerly known as GDPro. Delphi, Java, VB, IDL)” from MicroGold. generation, C++ code generation, COM interface, and more. The following UML tools seem to have died. application for drawing sequence diagrams only. Some personal comments on a few UML books (pretty outdated, tho).